Inov-8 has given their line of hiking and trail running shoes a makeover and we have them all available. 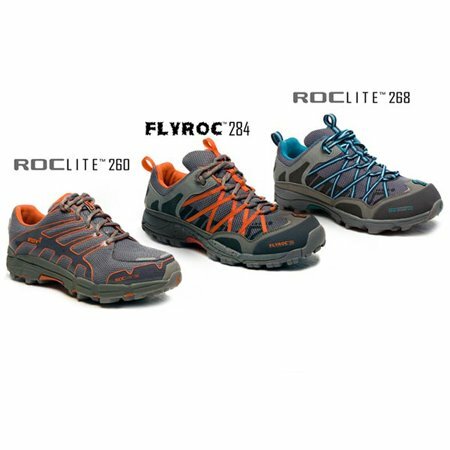 There are three new styles of women specific shoes, including the Flyroc 284 which are the woman’s version of the popular Flyroc 310, as well as new colors in all the old favorites. Not only do you get a pair of these sweet new shoes when you get them from MPGear, but we also include a FREE pair of Inov-8 Mudsocs with every shoe purchase. So stop by and pick up a pair, and bring your running to a whole new level, on or off the trail. « New 2009 CamelBak’s packs are here!